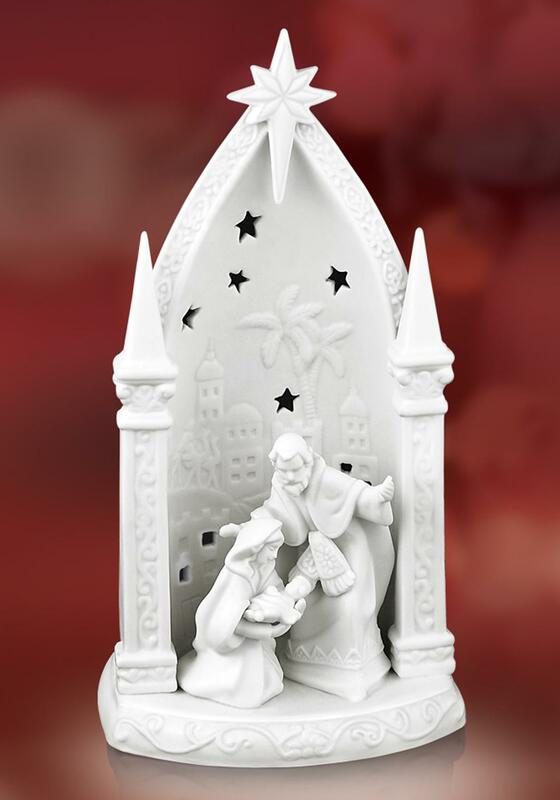 Elegant nativity scene from Newbridge in three dimensional white ceramic. Beautifully detailed figures of the Holy Family are framed by an ornate arch against a backdrop of Bethlehem. A large star overlooks the traditional scene. Presented in a Newbridge Christmas Collection gift box.